SACRAMENTO — Gov. Jerry Brown on Oct. 16 announced the appointment of Margaret Abe-Koga, 42, of Mountain View to the San Francisco Regional Water Quality Control Board. Abe-Koga has been a member of the Mountain View City Council since 2007, serving as vice mayor in 2008 and mayor in 2009. She is the corporate and foundation relations manager for Asian Americans for Community Involvement in San Jose and was a self-employed consultant from 2005 until this year. Abe-Koga was co-owner of Bodies on Bikes LLC from 2000 to 2002, associate director for the Asian Pacific American Leadership Institute at De Anza College in Cupertino from 1999 to 2001, and staff assistant to Rep. Anna Eshoo (D-Palo Alto) from 1993 to 1999. She was vice chair and later chair of the Santa Clara Valley Transportation Authority and a member of the Housing Trust of Santa Clara County. In 2002, she was elected to the Santa Clara County Board of Education, where she served as vice president and a member of the Head Start Policy Council and the Strategic Planning Task Force. 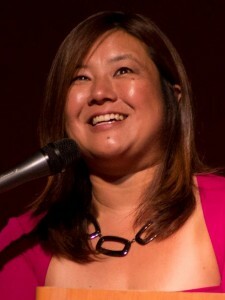 She has also been an appointee to the Mountain View Human Relations Commission and Environmental Planning Commission, and a board member of Mountain View Sister Cities Association, Silicon Valley Japanese American Chamber of Commerce, San Jose Taiko, and Silicon Valley Asian Pacific American Democratic Club, among other organizations. The San Francisco Regional Water Quality Control Board is a state agency with a jurisdiction covering most of the Bay Area counties. Its job is to protect and improve the quality of the natural water resources in the region. These resources include San Francisco Bay and Tomales Bay, the Pacific Ocean, streams that flow into the bays and ocean (west of Antioch), and groundwater throughout the region. The board regulates discharges to the waters and requires cleanups of unplanned or illegal discharges. This position requires Senate confirmation and members receive $100 per diem. Such a co-winki-dink that you posted this blog about the exnoptiecal author, Naomi Hirahara. I recently wrote to Naomi about: (1)The Mas Arai mysteries (had to tell her how Arai-san reminded me of my own Kibbe Dad! ), & (2)Asking her if she knew of any links to Sansei Moms’ blogs. Kindly, Naomi referred me to Rice Daddies & a few other blogs. I do think RD is a great find. So, as a Sansei Mom, with Hapa kids, passing on any & all aspects of our culture is always a happy task. We have Samurai blood in our veins, & my 4 Girls have true warrior spirits, & love all things Japanese. My Grandkids will follow the same path. Pass it on…never forget. Now, I’m looking forward to exploring more of Naomi’s books, & can’t wait for the next Mas Arai mystery! And, although I can’t seem to find a widely used Sansei Mom’s blog, I think I’ll keep visiting RD.Arigato, & Gambare!